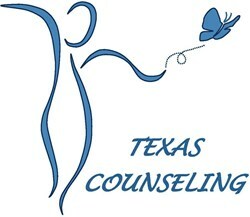 Texas Counseling offers families back-to-school guidelines. Texas Counseling offers the following guidance when easing a child back into school mode from their summer vacation. Different parenting styles present a challenge regularly. However, during the summer months, the challenge increases and the differences stand out more, due to the amplified time with the children. Relaxed rules by one parent and some structure by the other may confuse children and frustrate parents. Children will benefit most from the parents guiding them as a unit. Parents displaying positive behavior, and working together will lead to positive modeling, which will shape the children's behavior in the near and far future. GreatSchools.org, an online resource on school performance, offers a few important tidbits to assist parents during the transition: Start an earlier sleeping routine, after months of late nights and flexible schedule; never skip breakfast, due to its effect on academic performance. -Always discuss issues regarding the children away from them. Disagreeing in front of the children may lead to a child learning to manipulate one parent against the other, or asking certain things from one parent only. -Consistency. Once a decision was shared with the children, be persistent. Changing your mind may lead the children to bargain with you in the future, giving them the idea that there is room for change, once you make a decision. When parenting skills become a challenge, contact a therapist that can help with tools to assist in common daily struggles. A good therapist will provide tools to instill new rules for the household, and help guide parents make behavioral changes via positive reinforcement. Introducing structure gradually leads to a smooth transition into the school year. Beginning of school year does not mean the end of fun for children. Have a family day once a week, and take turns with family members in choosing the destination.